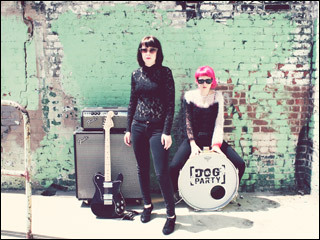 Sacramento punk-rock duo, Dog Party, strike again with their fourth album, Vol. 4. The Giles sisters, Lucy (17) and Gwendolyn (19), bring another record full of poppy tunes, with melodies that hearken back to The Ronettes, paired with the catchy punk energy of The Buzzcocks.